House prices in key cities around the world increased by 4.8% in the 12 months to March 2018, led by Hong Kong with a rise of 14.9%, the latest international index shows. Overall, residential property prices are rising in 86% of the 57 countries covered by the Knight Frank global house price index but only 9% of markets recorded price growth of above 10%, down from 18% a year ago. The data shows that the second strongest annual growth was in Malta with a rice of 13.6%, followed by Iceland up 13.2%, Ireland up 12.7%, Jersey up 12.1%, Turkey up 9.5%, Bulgaria up 9%, Mexico and the Netherlands both up 8.7% and the Czech Republic up 8.4%. 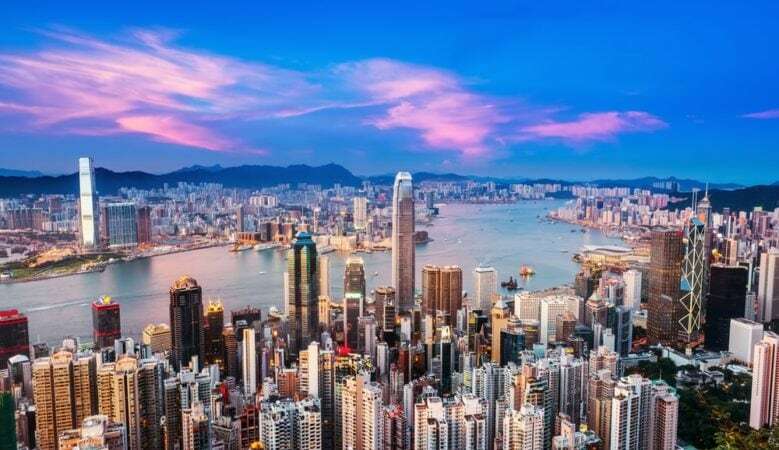 Hong Kong has topped the index rankings for the first time since the second quarter of 2015 and since the index was first published in 2008, Hong Kong has held the top spot on 10 different occasions, more than any other territory tracked. The index report explains that supply constraints alongside strengthening demand are putting pressure on prices in both Malta and Jersey. In Ireland’s case, its burgeoning economy explains its strong performance. Ireland has been Europe’s fastest growing economy for four consecutive years, with GDP growth estimated to have reached 7.8% in 2017. However, the report points out that despite rising by 12.7% in the year to March, residential prices in Ireland remain 21% below their peak in the first quarter of 2007. North America is the strongest performing region with an average price rise of 6.6%, followed by Asia Pacific at 5.7%, Europe at 5.3%, the Middle East at 3.5% and Latin America at 3%. The only regions to see prices to fall were Russia and CIS, both with a decline of 1.8%. Kate Everett-Allen, head of international residential research at Knight Frank, pointed out that Europe’s recovery is now well-underway as 11 of the 15 strongest performing housing markets globally were in Europe at the end of March 2018. But it’s not a uniform picture. The data reveals that prices fell by 0.3% in Greece, by 0.3% in Italy, by 1.1% in Norway and by 1.3% in Finland with all these nations now in the bottom ten rankings. At the bottom of the index is Peru where prices are down year on year by 4,2%, followed by Ukraine down 3.9%, Finland down 1.3%, Brazil and Norway both down by 1.1%, Italy down 0.3%, Greece and Saudi Arabia both down 0.3% and Morocco unchanged. Everett-Allen suggests that fewer market seeing annual price growth of over 10% may be an indication that buyer sentiment is weakening, as the shift towards tighter monetary policy and the removal of stimulus becomes a reality in key global economies.